New York: The image of the muffler clad CM of Delhi may seem as bland and unimpressive as his most recent political escapades, but there’s another Kejriwal which is much spicier and irresistible, and now its presence is being felt all over the globe. Invented in the 60s in Mumbai, Eggs Kejriwal doesn’t have anything to do with the AAP chief but instead gets its name from Devi Prasad Kejriwal who introduced people at the Willingdon Sports Club to this scrumptious yet simple culinary delight. Little did he know that almost half a century later, the dish would travel a long way to end up in New York Times list of top 10 dishes compiled by food critic Pete Wells. He happened to try it out at Mumbai based chef Floyd Cardoz’s SoHo restaurant Paowalla. Kejriwal was a marwari businessman who couldn’t eat egg at home and hence would have eggs for breakfast at the club. 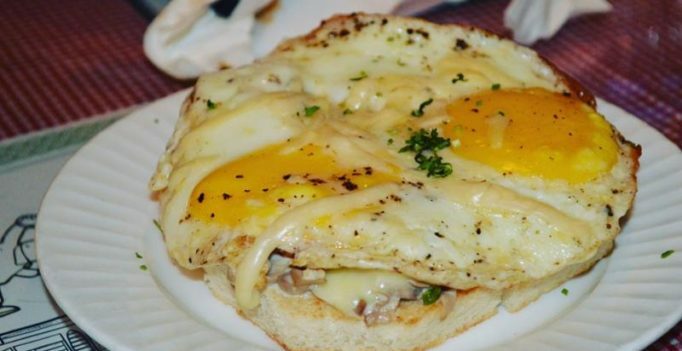 He asked the chef to make it with cheese, green chillies and fried egg, as the dish got its name after members started asking for “what Kejriwal is eating”. It now features on menus in popular joints in India like Theobroma, Cardoz’s Mumbai restaurant Bombay Canteen and outlets across the world, but the Willingdon version remains the best.